SEO (Search Engine Optimization) is the optimization of websites for search engines, intended for increasing your websites's position in search engine results as much as possible. The optimization of a website for search engines is a long-term process, which includes working on the quality of the website and its promotion. By optimizing your website you can appear among the first results on search engines, and thus improve your business. Let us help you reach your goal! The main goal of every website owner is a good search engine visibility. Everyone wants to be in the first position on Google, or at least among the ones holding the first few positions. The fact is that 86% of the overall Internet search results are generated by means of serach engines, and even 60% of all the clicks are generated by the websites the results of which are shown on the first page of the Google search engine. It presents a relentless promotion which keeps bringing you new clients. It is important to mention that we use only the techniques approved by Google and the other search engines, which is an important fact for you, since Google regularly introduces changes into its algorithm, using this as a way to „punish“ those websites that used illicit techniques, with their overall website traffic being consequently greatly reduced. When optimizing the existing website, we perform a website value analysis using the tools which read all the important website parameters first. Then we carry out the complete analysis of keywords according to the products or services the client provides. After we determine the words and concepts which are crucial, and which the users enter the most in the search engine, we optimize the website. There are tyo types of SEO optimization. Read more on them below. On-page SEO refers to what is done on the very website. It is based on keywords, titles, descriptions and your website links. It is important to analyse the business activity of the company for which the optimization is performed, as well as to find the specific keywords which are entered the most by users, and to incorporate them in titles, descriptions, links and texts on the website. It is necessary to have short URL links and alt tags for images, optimized by keywords, and linked to the website they are on. The page content should be unique, not copied from the other websites, because search engines de-rank such sites. The content includes some important tags, which are the H1, H2 and H3 tags. These are the sub-titles which should differ for all the pages, and clearly describe the content of the single page. By means of the said factors, Google will determine which website will rank higher on search engines. 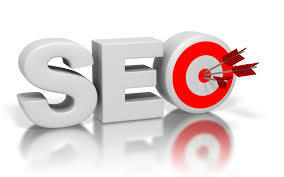 Off-page SEO refers to the link building towards your website on the other web locations. It implies the entering of your website in various directories, forums and blogs. Off-page SEO also implies the creating of a profile on social networks, as well as the links on social networks, such as: Facebook, Twitter, LinkedIn, Google +, Youtube etc. It is essential to have an interesting content, so as for the users to be able to create a link to your website. The more links there are to your website, the higher you will be ranked on the Internet search engines. The SEO optimization is used to achieve a higher rank on the most popular search engines free of charge. The higher rank generates bigger traffic, which is reason enough to pay special attention to it and to carry out a professional performance. It is important for the optimization to be done for all the keywords and relevant terms which are related to the business activity of the company, and for the texts to be interesting and optimized. Zatražite ponudu te ćemo Vam onda pobliže objasniti SEO optimizaciju Vaše web stranice.